Hopefully my last post with reasons to visit India with kids got you excited about this beautiful land! India for kids is an incredible and diverse experience. The country tends to be very welcoming overall to children, and there’s plenty to see and do. However, India travel with children is not for the faint of heart. 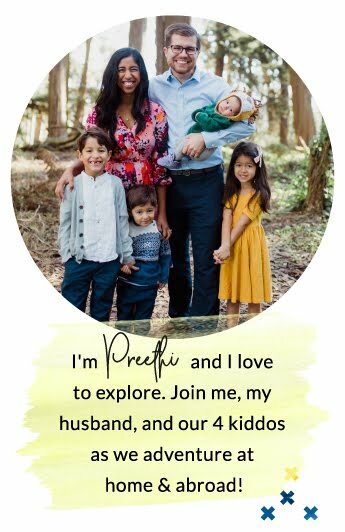 I would NOT suggest you visit India with kids if it’s your first time trying out international travel together. That is not to deter anyone from going – it’s absolutely doable and can be educational, visually-stimulating, and fun – but I believe it’s important to be honest about the difficult parts of travel, as well. Here are a few reasons on both sides – what makes an India tour really family-friendly, and what can make it overwhelming and tough. Kids are accepted everywhere. There are few adult-only sites, and it’s rarely frowned upon to bring children along wherever you go. Assuming you don’t head to suspect areas, India tends to be relatively safe. I’ve never felt uncomfortable in terms of physical safety. Of course, keep your belongings close as pickpockets will notice tourists, but I personally haven’t felt worried about being attacked. People tend to be very friendly to and love kids, especially if they look foreign. Prepare to have a lot of photos taken of your children. Hotels and serviced apartments tend to be very generous in terms of providing extra beds without charging. Europe was tricky for this, as most hotels had a limit of 3-4 persons, but India rarely has this issue, which makes it easier for larger families. Kids tend to be free most places. People are always willing to hand out snacks and toys and whatever else (sometimes whether you like it or not). People tend to not be bothered by the noise and ruckus that inevitably follows children. India is loud and dirty and active, anyway, so a kid throwing a fit or running around rarely fazes anyone. People tend to expect kids to behave like kids, and aren’t usually bothered by it. It’s cheap. There’s lots of fresh food all over for pennies. Food tends to be available for much of the day. There isn’t usually a long siesta limiting most places. We didn’t get the same looks for being a bigger family that we did in Europe. Weather doesn’t tend to fluctuate wildly. You likely won’t need to pack big huge coats (even if Indians will claim they’re freezing at 65F). It’s easy to get around. You can rent a van (with a driver) or a rickshaw or an Uber with ease and for very little money. This leaves you free to focus on caring for and teaching your kids without needing to worry about navigation.Child safety restraints aren’t required. This took overcoming a bit of a mental block for me, because I tend to be pretty serious about car seats at home. But in India, it’s just not done. Many vehicles don’t have buckles for them. And after a while, I must admit, it was pretty nice to just hop into a vehicle with a sleeping baby in a carrier and not need to move him. It’s very stimulating. It’s difficult for kids to feel bored in India – there are so many colors and foods and noises and animals. Cities tend to be pretty walkable. Even though sidewalks sometimes aren’t great, and it can get a bit dicey walking, TONS of people will be doing it. There’s nothing unusual about being a pedestrian. It’s easy to connect with people. Most, including Indian children, tend to be very open to tourists and want to get to know you, which can make for a great cultural and educational experience. Negotiating is expected. You can consider what you’d like to pay, and it’s not typically offensive to make an offer. You can find English speakers most places you go with relative ease. Temples tend to be very welcoming of all faiths, cultures, backgrounds, and abilities. Even if temples require a slight hike, you can often find someone willing to carry you. Service levels tend to be high. People tend to want to help tourists, and try to go out of their way to do so. There are a lot of transportation options across the country. Trains tend to be frequent and comfortable, and there are a number of low-cost airlines. India is huge and diverse with millennia of history. You could spend years and not see it all, but it makes it filled with many wonderful options. There are little shops all over. It’s easy to pick up a snack or a toy or anything else. Speaking of, it’s really easy to try new foods. There are just so many types of Indian food that vary greatly even from state to state. It’s easy to live luxuriously. India is great at doing fancy if you have even a little bit of money. It’s dirty. This was one of the #1 difficult things when we were there, especially with a crawling baby. It was really difficult to find places we felt comfortable putting him down, which was frustrating for him and for us. Kids tend to touch/lie on/lick all kinds of random surfaces so I often felt concern over what diseases they were contracting. I had to remind myself that millions of kids live in India, too, and that we’d gotten all our vaccines. (It’s not perfect, but it was something.) There’s also a lot of trash. Trash cans are few and far between, so it can be tough to see muck and junk in a lot of places. It’s very crowded. In a nation of over 1.3 billion people, it will feel crowded almost every place you go, which can be stressful with little ones. We felt we had to be very vigilant about keeping an eye on our kids to make sure they didn’t get separated from us, and keeping them close. In France, we let our older kids go down to the boulangerie on our block on their own to purchase a baguette. I didn’t feel comfortable doing that in India (although we saw lots of Indian children running around on their own at a young age). Many places don’t accept credit cards, and there are a lot of broken ATMs. And some places, even if they do have machines, may not have a strong enough data connection to run the transaction (this happened to us at the Taj Mahal – their card machine wouldn’t work, and Dan ran to 4 different broken ATMs to try to get enough cash for our group). There’s a ton of traffic. This can get frustrating when it takes a long time to drive places, or when you’re a pedestrian trying to cross a very busy street with little kids and no crosswalk. And public transit, where available, is not very efficient. Bathrooms. Oh, the bathroom situation. Many places may only have squatting toilets, and may not have toilet paper or sinks or soap. Definitely have your kids practice going in an outdoor setting beforehand to work through the mechanics of a standing toilet. And be prepared with a bottle of sanitizer and liquid soap to wash hands, as well as your own toilet paper if necessary. Laundry can be difficult. We found a couple places with TINY washing machines (and certainly no dryers) that mostly just swished water around. So we just felt dirty. A lot. Food can be spicy and can be very different from your norm (and that’s most of what is available, and oftentimes the ONLY thing available). While children are certainly loved and welcomed, there are rarely special accommodations for children. We didn’t encounter high chairs or car seats, and few children’s programs/guides or even picture books are available. There are a lot of smells, which can take some adjusting. You cannot drink the water. Some people brush their teeth with tap water and use bottled water to drink, but we didn’t feel comfortable even using tap water for brushing teeth with kids (who knows how well they actually spit?). And even with only drinking bottled water, it’s still pretty easy to get sick. In fact, this was my 6th visit to India and the first time I didn’t get sick. The pollution can be pretty terrible. 22 of the 30 cities with the worst air pollution in the world are in India. When we were in Delhi, the pollution levels were so bad that I didn’t feel I could take a full breath the entire time we were there, and several of us developed a terrible cough. This can be especially hard on little lungs. There’s not a lot of open space or playgrounds for kids to run around. Everything tends to be packed in, and again, the cities are not designed for the convenience of children. Many places aren’t as sanitary, even in mid-level hotels. There is a lot of of begging and/or hassling to sell souvenirs that is targeted at children. I get it. There is SO much poverty in India, and it’s heartbreaking. It’s especially saddening when it’s children who are doing the begging and/or hassling. We want to help, and we do our best to help in ways that we feel are most effective. But it can get hard when your kids are pestered nonstop. I mentioned the photo-taking, right? There will be lots of photo-taking of your children. Be prepared to make your stance abundantly clear. With the affection and love for children comes lots of touching. Cheek-pinching, handing of (perhaps unsanitary) treats, patting on the head. Depending on the kid, this can be really overwhelming and uncomfortable. Depending on when/where you go, the weather can be a beast. Consider season carefully before travel. Dehydration is a significant risk. Especially when you’re only drinking bottled water, it’s important to keep enough readily on hand, more so in rural areas where it might be more difficult to find. It can be tricky to walk around barefoot, which is typically the custom at religious sites. Be sure to take an extra pair of socks with you to put on. It can be hard to keep monkeys away in certain areas. Electricity and hot water can sometimes be uncertain. A lot of hotels will only run hot water during certain hours of the day, so showering can be tricky. While people tend to want to provide really great service, they will sometimes agree to do things they actually can’t – just because they don’t want to disappoint you. It can be easy to misunderstand gestures, especially if you’re coming from a western culture.